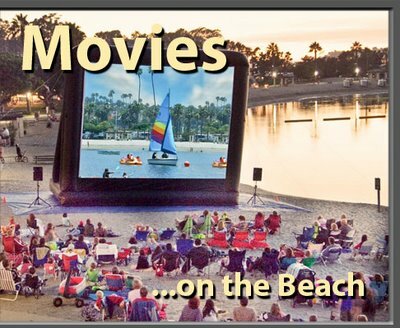 Free Movies on the Beach at Newport Dunes this Summer! I hope you all had a wonderful Memorial Day Weekend! We had a great time relaxing and even managed to make it down to Encinitas to check out the SD Botanic Garden. Can’t wait to share about our adventures later on this week. I first wanted to start out the beginning of this week by sharing about this upcoming weekend and actually about an event that takes place every weekend during the summer. 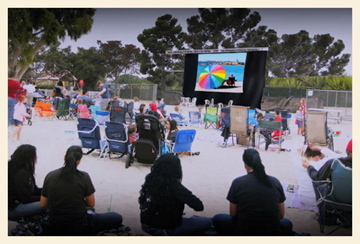 Newport Dunes hosts a free movie on the beach every Friday and Saturday evening for the entire family. Movies start at sunset and you are encouraged to bring blankets, chairs and jackets. Movies start at sunset and there are concessions available for purchase. The movie nights are free but parking is $10. It’s still a super fun evening for the entire family. For additional information and to see the schedule head here. This entry was posted in Uncategorized and tagged Free, Free movies on the beach, Fun and Free to do this summer, Movies on the Beach, Newport Dunes.